I have an unhealthy love for Paris. There is something about the romanticism of the French culture mixed in with the grandeur of the architecture that makes me fall in love with it more and more each time I visit it. And the beauty of this city lies in the fact that it is picture perfect no matter what time of the year you decide to go. Some like it better when the weather is warm and the fresh flowers are blooming all over the city, while others prefect Paris when it rains and leaves ominous dew lining the street. But if you have the chance, try visiting Paris over Christmas time for a perfect escape filled with the best shopping, food and sights to see. 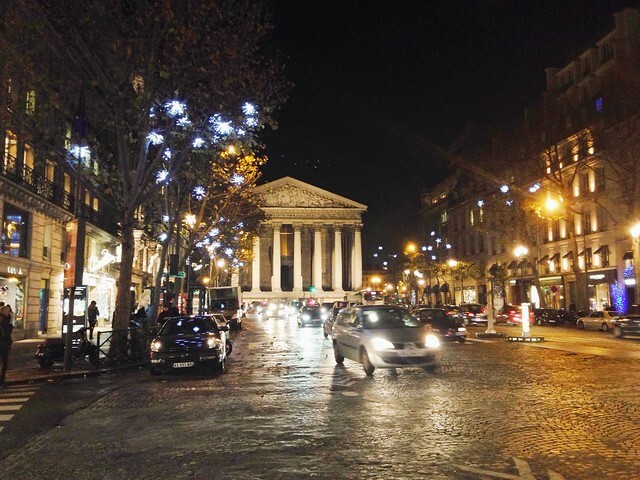 They don’t call it the city of lights for nothing as every street and corner is decorated with twinkling decorations. 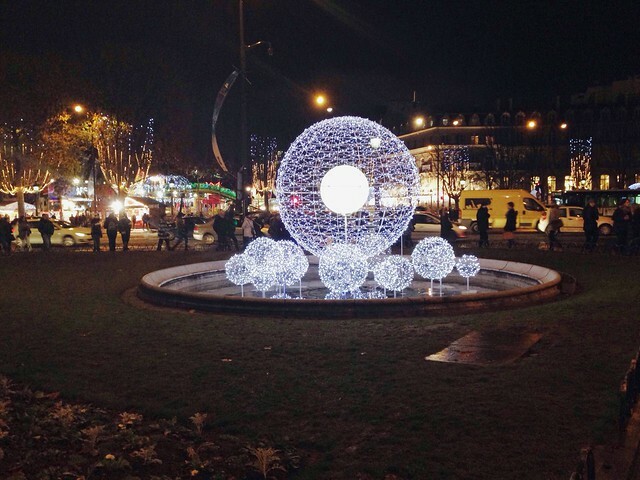 Paris has joined the ranks of having some of the best Christmas Markets in Europe. 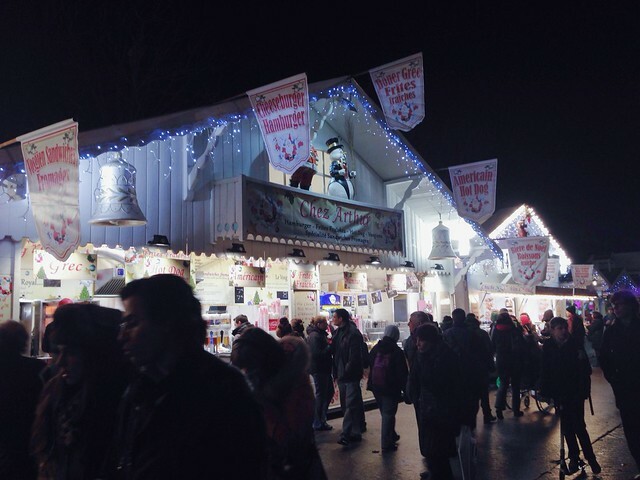 With market stalls lining the streets filled with various food, craft and artisan vendors, these Christmas Markets are a great stop to get your fill of holiday cheer. So whether you looking for custom holiday treats or to warm up with vin chaud, be sure to stop by one of the many markets in Paris. 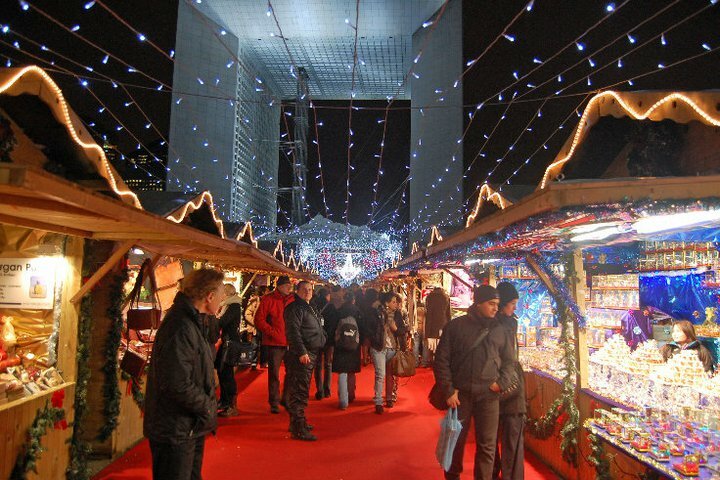 Among the high-rise buildings and Grand Arche in La Défense, hundreds of stands featuring the best artisanal and regional products to decorative items are sold to delight guests over the holiday season. Stretching along the Champs-Elysées to the Place de la Concorde, the largest Christmas market in Paris extends down both sides of this grand street with market huts to sell some of the best traditional goods. This fashion capital is home to some of the best shopping and high-end retailers. With boutiques everywhere you turn, you are bound to find the perfect Christmas gift for everyone on your list. Start off wandering down the upper area of the Champs-Elysées and Avenue Montaigne, starting at the Arc-du-Triomphe, and revel in the beauty of this street and the awe inspiring Louis Vuitton flagship store. 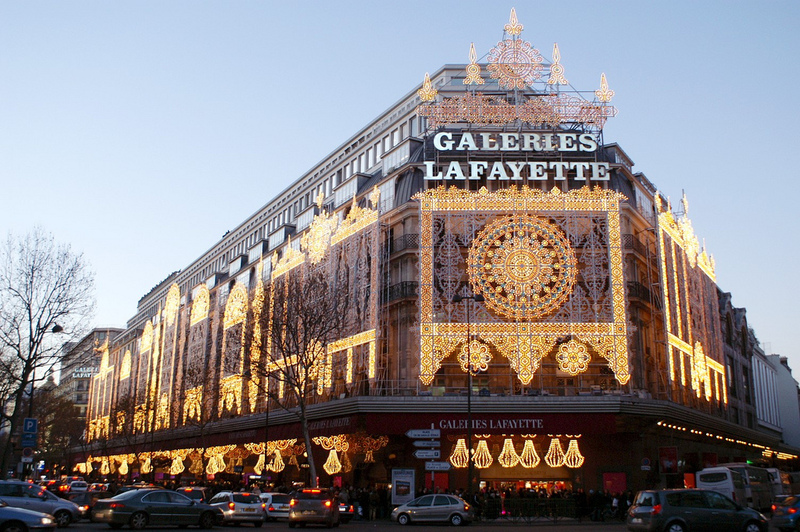 Head over to Boulevard Haussmann and get lost in the Belle époque department stores Galeries Lafayette and Printemps. Finish off your Parisian shopping experience by wandering down through the haute-couture boutiques of the Faubourg Saint-Honoré district or the historic Marais Quarter. With over 70 museums and monuments dispersed all throughout the city, warm up from the winter breeze in one of Paris’ famous tourist attractions. Many national museums and monuments offer discounts and wave entry fees for citizens of the European Union, long term residents and visitors under the age of 26 years old. 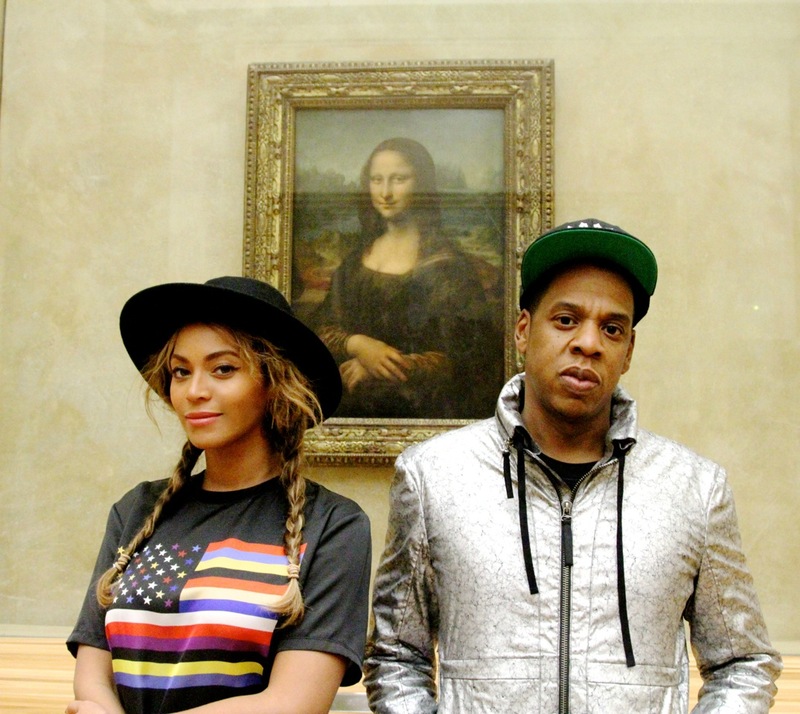 Visit one of the finest collections of art and culture in the world at The Louvre and brush shoulders with the Mona Lisa. 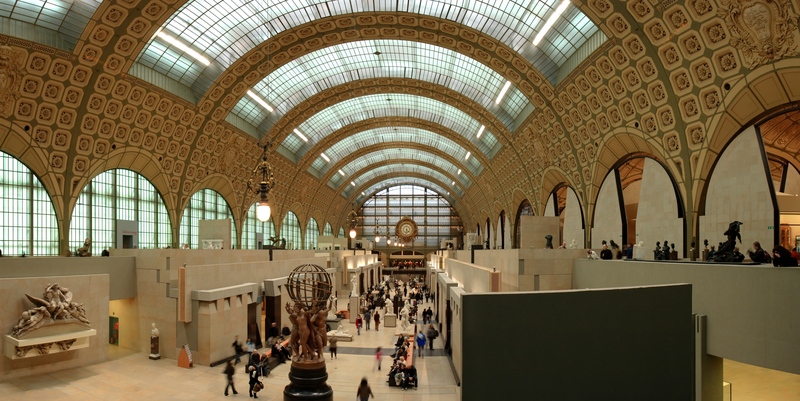 Explore refurbished railway station of the Musée d’Orsay which housing some of the best collections of impressionist paintings. 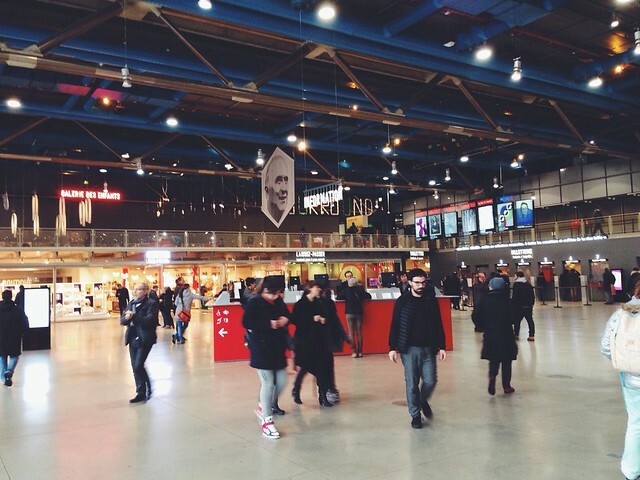 Discover the museum of modern art at the magnificent Centre Georges Pompidou and see one of the best aerial views of the city from their upper galleries. Start your morning off right with a croissant or a hearty breakfast. 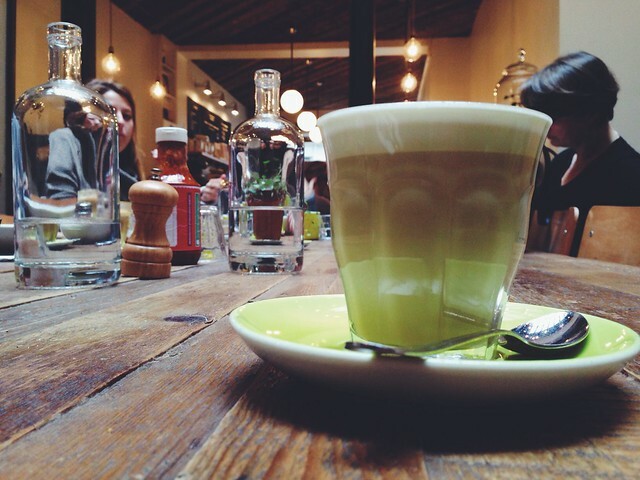 Paris is known for the café’ which line the boulevards. 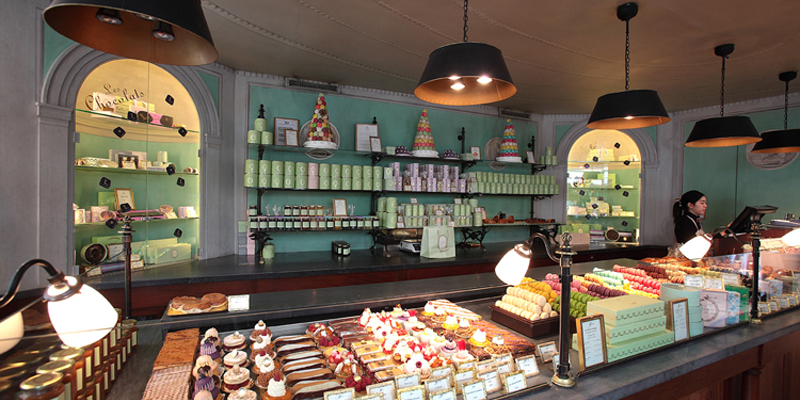 Indulge in a macaroon or small cake from the French luxury baker Ladurée, who has been making some of the best sweets in the city since 1862. My personal oasis in the busy city of Paris is under the dome of Brasserie Printemps. 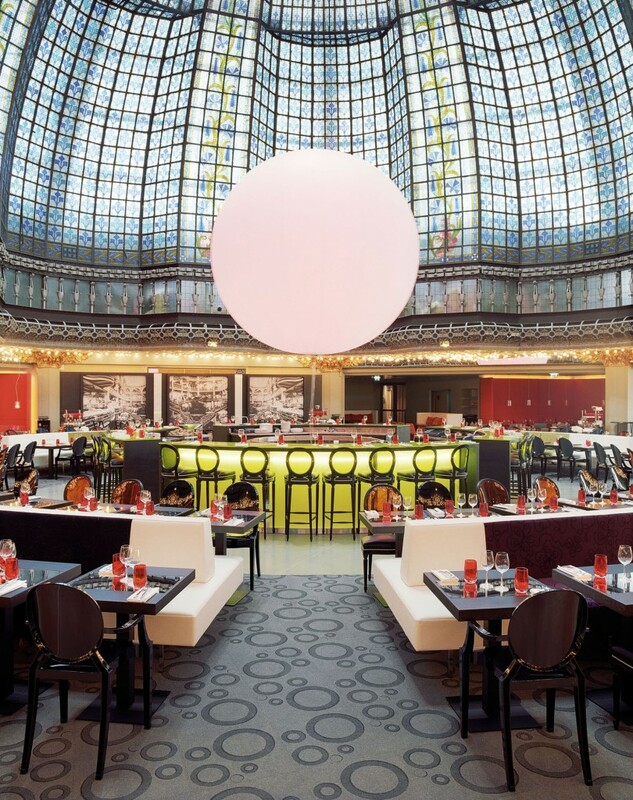 Opened in 1923 and located on the top floor for the Galeries Printemps, swing by for a relaxing café or fill up with their menu of contemporary French cuisine. 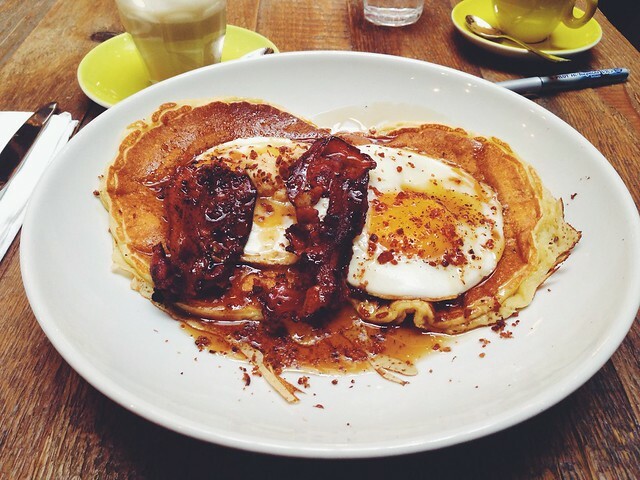 Wake up and treat yourself to great food and coffee. Located just steps away from the Quai de Jemmapess, Holybelly is a cute little café (with even cuter waiters!) that offer you a creative menu of modern brunch and lunch items that are updated monthly.